For caravanners and sometimes motorhomers a towbar is an essential item of kit, subject to a lot of stress in its lifetime. So what do you need to know? Considering it’s the only thing (apart from a breakaway cable) that keeps what you’re towing attached to what you’re towing it with, a towbar is both relatively straightforward and essential. There’s a good choice available and, luckily, maintenance is routine. Here are the main types of towbar available in the leisure market. 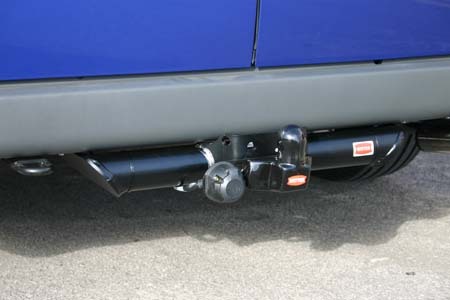 The most commonly type of towbar in the caravan and motorhome market, and usually the most cost-effective. 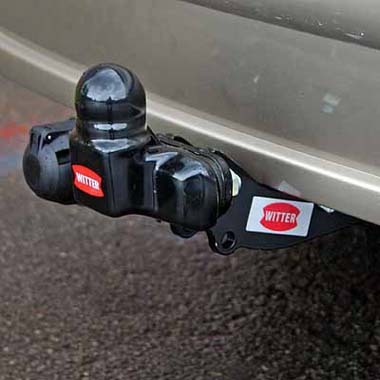 Typically, Fixed Flange towbars are supplied with a 50mm towball that’s bolted to a two or four-hole plate, which also allows the fitting of a 25mm spacer, so that such units can also accept items such as cycle carriers, stabiliser and bumper protectors. With a four-hole plate, the towing height can be adjusted. On the downside, they can look bulky. They also need a special towball for caravans or trailers fitted with Al-Ko hitch stabilisers. As per the above, but removable, so could be better suited to those who don’t tow much and want to keep the original appearance of their vehicle. These require a little more maintenance, than the fixed flange towbar. More popular in the rest of Europe compared to the UK, mainly because the design doesn’t allow for the fitting of accessories at the same time as using for towing. Usually more expensive than flange towbars, swan necks can’t be fitted with bumper shields. 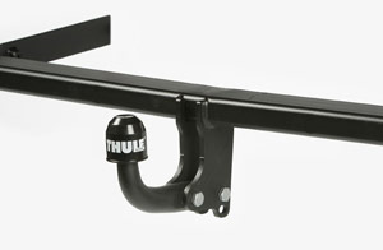 The first towbar to offer such a facility, it’s as per the sawn neck above, but removable. A more recent design that’s often available for more upmarket cars, rather than its total removal, such a unit allows you to simply retract the towball. One big advantage here is there’s no risk of losing the towball, including theft. 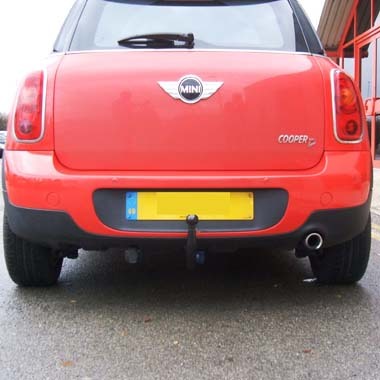 As of April 2009, towbar and related fittings are part of the MoT test for private vehicles, i.e. cars and motorhomes. From 2012, there were updates to include testing the electrical aspects, including sockets, dashboard warning lights, etc. Visually assess the towbar for wear and pull on the towbar and/or its mountings to check for security, corrosion, fractures or damage. Check the towbar assembly is attached to the vehicle structure using mountings, supports and fixings of an appropriate size and type. a. retaining devices, eg nuts and bolts. b. locking devices, eg split pins, ‘R’ pins. b. visually assess the condition of any quick release mechanism. c. locating or swivel pin retaining devices for presence and security. 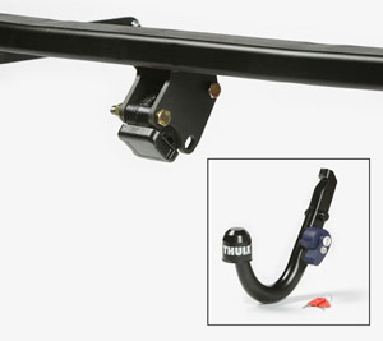 Check the condition of the body and chassis in the vicinity of the towbar mountings. The National Trailer and Towing Association is the trade body for the towing industry here in the UK. It was founded in 1975. 2015 sees it celebrating the 15th year of its Quality Secured scheme promoting excellence in towbar installation and trailer maintenance. It reckons, since the year 2000, some four million towbars have been fitted in the UK, add its QS scheme is recognised by over a million members of the towing public, and recommended and endorsed by the Automobile Association (The AA) amongst others. It also published a free guide to towing law, The NTTA Guide to Safe and Legal Towing, downloadable direct from its website. Fortunately, towbars require minimal maintenance. However, it is always worth checking everything is OK each and every time you hitch up. Regular inspection and maintenance will help maximise the performance and life of your towbar. Keep the towball clean with thinners, white spirit or brake cleaner to remove grease or other residue. The surface of the tow ball must be free of grooves, rust or seizing marks. 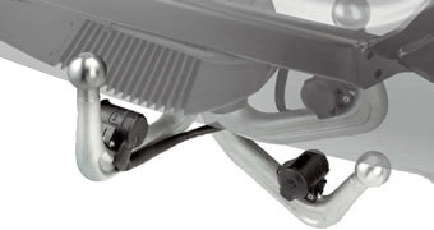 Check all levers, flexible joints and parts for tightness, correct operation and integrity. Replace any worn parts or have the bar serviced at your local towbar specialist. Keep any housings free of dirt and corrosion, especially on the points of contact. Any surfaces should only require cleaning with a cloth. Grease or other lubricants should never be used. For detachables, if the ball is not used, it should be removed – the dummy should then be inserted for protection and to prevent dirt. Store the ball in a case. 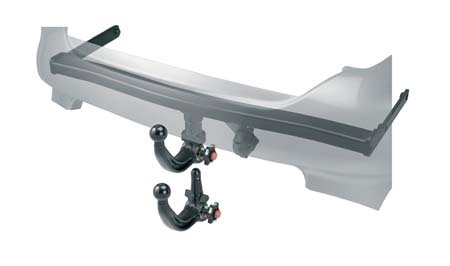 Al-Ko Major leisure vehicle chassis manufacturer that also supplies its own towbars. www.al-ko.co.uk. Firstly we’d recommend speaking to whoever fitted the towbar. But you could also take a look on You Tube. We are not responsible for the advice given in this video but it may be helpful to you. I too have a detachable towbar (Westfalia) fitted to my Audi, which was fitted by the dealers a few years back. So far, all has been fine and the tower has performed well, with no issues at all. I find the tower so easy to attach and remove from the car. I have a detatchable tow bar on a Volvo XC 60, fitted by the dealer. After 12 months (but with 8,000 miles towing) there was some play (1 – 2 mm) in the mechanism. Volvo (reluctantly) changed the complete unit meeting 60% of the cost. However the new bar is just beginning to show some play after 30000 miles. Does anyone else have bad experiences with the Volvo detachable units? Hi John, just a quicky concerning repeater units. This IS a legal requirement to have either sound or visual when towing. I have recently had a problem so contacted appropriate authorities, although it is only a minor offence, it is illegal. is a dashboard light or audible warning still required for caravan lights when towing. As my new car has neither, with a manufacture fitted towbar. ? Hi John, we recommend checking with the DVLA on that one, or the Legislation.Gov website (see here). Alternatively, there’s a forum post on the Practical Caravan website that could help answer your question, click here for details. interesting point there as i have a vehicle specific wiring kit on my Renault Trafic which has neither audible or light warning, however when an indicator doesnt work on the caravan the van indicators and therefore the light on the dash run at double speed. Hi I have a 2008 Kia Sorento that already had the tow bar fitted when I brought it 18 months ago. It does have an audible noise for the indicators when used but has no other warning either audible or visual for the othe lights when caravan attached. I have just got a discovery 3 with detachable tow bar and I have seen comments on the Internet about them coming out when towing. Do you know if this has append to any one whilst towing a caravan? Hi Raymond, I’m sure someone will let you know if it has. Yes I can confirm that my friends new caravan that he had just picked up from a dealers came away with his newly fitted detachable tow bar within half a mile of the dealers.He too had a Discovery3. There’s actually a forum post on this very topic over on the Practical Caravan website, see here to take a look. Let me know if you need anything else. Bought a detachable swan neck tow bar,great bit of kit,Can remove when not towing .And saves banging your legs on it. Thanks for the tips and recommendations folks! When I had a towing hitch fitted to my 2010 Focus, the rear spreader bar on the car was removed and replaced with another with the towing hitch attached. I kept the original spreader bar in the event that I purchased another Focus (quite likely, my 1.6 TDCi Focus does a brilliant job). This would allow me to remove the items from the present car to use on it’s replacement.